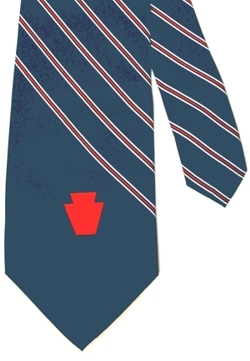 Men's Tie, dark blue with red and white stripes, red Division logo. 100% polyester. Pocket Swatch. 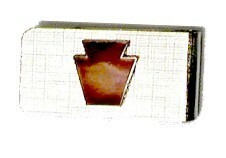 Worn on blazer pocket. Black with gold keystone, red keystone and gold embroidered rampart. 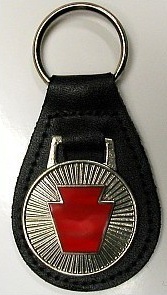 Deluxe Bolo Tie-red keystone on a silver medallion with mother of pearl background. 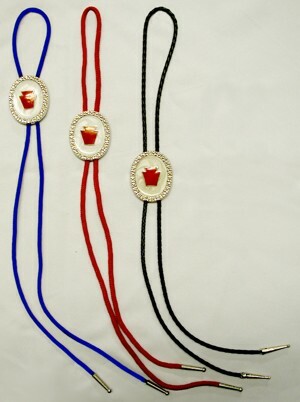 Braided cord available in Blue, Red and Black with metal tips. When ordering, state color. 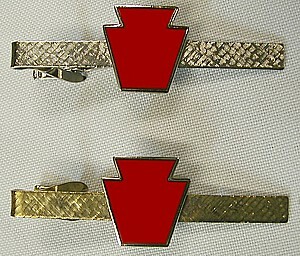 2 1/2" Tie Bars with raised Red Keystone logo. When ordering, state color. 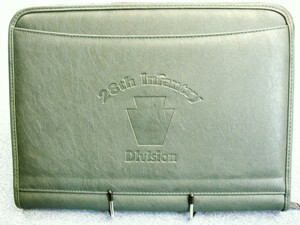 Notebook-zippered and compartment sizes with 3-ring notepaper-polyleather material, dark blue, black or dark green, embossed logo of the 28th Infantry Division with imprinted keystone. Click here to see more images. White ceramic mug imprinted with Rampart logo of the 28th on one side and Infantry Division Association and campaigns on the other. 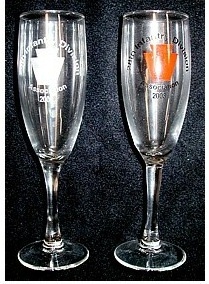 Black ceramic mug imprinted with red Keystone logo and 28th Infantry Division on one side and "Roll On" on the other. Grey, black and red drawstring bag with two outer mesh pockets and one inside pocket designed to hold an MP3 player. Perfect for PT gear. Black silkscreened logo. 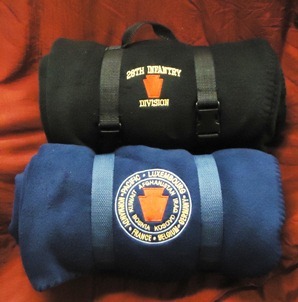 Fleece Travel Blanket 60" x 48" rolls up and secures with nylon straps for easy transport. 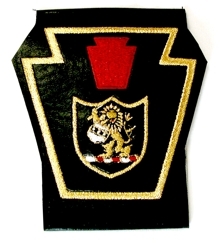 Embroidered with "28th Infantry Division" and red keystone logo or "28th Infantry Division Association" logo. Reuseable nylon bag, tan in color, with Keystone and Association silk screen. 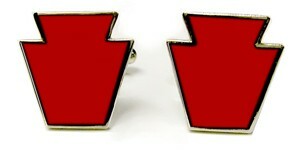 Keystone earrings for pierced ears. Post attachments.